Submitted by Edward Revy on February 28, 2007 - 13:08. Current strategy applies the same principles as Strategy #1. 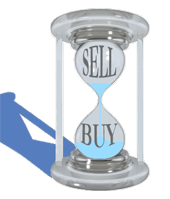 Use time frame and currency which respond the best (1 hour, 1 day… or any other). Indicators: (multiple of 7) 7 SMA, 14 SMA, 21 SMA. Entry rules: When 7 SMA goes through 14 and continues through 21, BUY/SELL in the direction of 7 SMA once price gets through 21 SMA. Exit rules: exit when 7 SMA goes back and touches 21 SMA. Advantages: again it is an easy set up and does not require any calculations or other studies. Can produce very good results during strong market moves, the system also can be easily programmed and traded automatically. Disadvantages: System requires periodical monitoring according to a chosen time frame. SMA indicator signal can be confirmed after the current price bar has been fully formed and closed. In other words, when SMA stops changing and the signal is fixed, traders may rely on such information to open a trade. Submitted by No-ah on May 11, 2013 - 19:04.
pardon my ignorance, i'm new in forex. thanks for your patience. Submitted by User on December 26, 2012 - 12:59. What is the SMA 14 for? A new trade can only open when the SMA 21 is between the SMA 7 and the SMA 14. Without the SMA 14, there wouldn't be this distinction. Submitted by User on October 8, 2012 - 06:51. Submitted by User on June 26, 2012 - 11:18. Hi, I'm just wondering what is the purpose of the 14 SMV is for? Submitted by Sam on February 10, 2012 - 08:56. Hi, could anyone recommend where to find a daily list of SMA crosses - especially 9day/21day crosses. Submitted by User on November 29, 2011 - 11:57. I heard an moving average indicator like this with a 90% accuracy.. True? Submitted by User on August 25, 2011 - 20:19. What's the 14 sma for? You only need 7 and 21 .yes? Submitted by Edward Revy on March 3, 2011 - 10:10. By Default every indicator (including EMA, SMA etc) should be "applied to Close". The other options simply give you room for exploring and experimenting with alternative formulas. For example, if you take two Moving averages (14 period). For one set "applied to High", for another set "applied to Low". As a result on your chart there will be a channel formed from those two Moving averages. It's an opportunity to build a trading strategy around it. 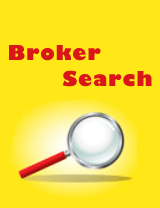 Submitted by User on March 2, 2011 - 21:12.
help any 1 using meta trader 4?when i have to input the information for the sma ema or ma they ask what to apply it to..the options are close,open,high,low,median price(hl/2),typical price(hlc/3) and weighted close(hlcc/4)..can any1 claryfy what it is an how to use it? Submitted by adit on December 26, 2010 - 21:19.
thank you very much for your explaination,and now i'am going to do those very important knowledge&instructions,i will report to you about my trading improvement later.. Submitted by Edward Revy on December 26, 2010 - 13:55. Discipline & Strategy Rules & Money management - if you fail at any of those steps, you'll lose. Strategy rules - here not everything is so simple. Do you actually have the rules written in your trading book? The rules that have description of: where to Buy, where to Sell, Take profit, Place stop, trail stops, adjust to break even, close immediately, let a trade run, double on a trade, other conditions depending on the indicators you have? Every single detail must be documented in order for you to follow the strategy objectively and achieve that very much needed discipline. Money management - when you got the rules, and you have the discipline, you need to sit down once again and review your money management rules: how much do you risk and how much are you looking to get in return? It's simple: if your stops are larger than your profit targets, it'll be very difficult to achieve any positive performance in the long run. Many strategies need a thorough adjustment of risk:reward ratio for a better performance. Most of the time you have to do this homework for every strategy from scratch relying on own experience. We are all different, and even if given the same strategy, it's amazing how different our results could be.. Submitted by adit on December 25, 2010 - 11:47.
i love to learn lots of strategies here,this is a great site i think,i'm speechless..i've tried this strategies for 1month and wowww,wonderful result.based on that,i have a simple question to you,and the question is,if there are thousands of forex strategies like this one and very popular,why are still much traders got lost than win..?what was wrong..? it is really mean to me.. Submitted by Alex on December 5, 2010 - 12:12. It's how you look an WMA and SMA. SMA averages the price, thus makes a smooth Moving average line, while WMA calculates values with the emphasis on the most recent price changes (and less for old), thus WMA traces closer to the price on the chart. For some trading methods SMA is better since it keeps the distance, is smoother, for others it's WMA - a bit faster, yet smooth. Submitted by ugeen on November 27, 2010 - 04:39.
this strategy looks very good. anyone who is trading it live? with results? pls?? so WMA would be better than SMA?? Submitted by Edward Revy on June 8, 2010 - 12:57.
yes, there is a difference between SMA and WMA. 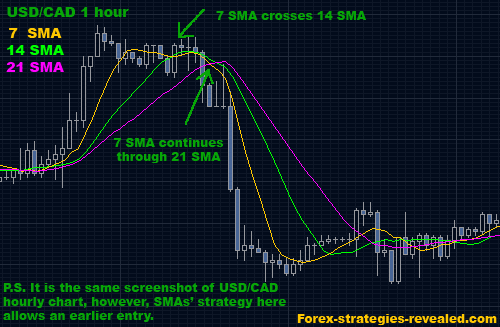 Basically SMA is a slow moving average which is steadily showing the average price of a given period. While WMA, in addition, gives a higher priority to most recent price changes opposed to older ones, making it even more adaptable. So, if you try it with WMAs, I'm sure you'll de fine too. FXCM platform has SMA as well. Try asking their support team p they'll tell you where to find it.